At a time of profound change in the economic, social, political and sporting landscape, sport development faces important challenges. Now in a fully revised and updated third edition, Sport Development: Policy, Process and Practice is still the most detailed, authoritative and comprehensive guide to all aspects of contemporary sport development. Each chapter contains a full range of pedagogical features to aid learning and understanding, including revision questions, and case studies, while a new companion website provides additional teaching and learning resources, including useful weblinks for students and PowerPoint slides and a test bank for lecturers. Sport Development: Policy, Process and Practice is an invaluable resource for all students, researchers and professionals working in sport development. Kevin Hylton is Professor of Social Sciences in Sport, Leisure and Education, Carnegie Faculty, Leeds Metropolitan University, UK. Kevin’s research interests focus on diversity, equity and inclusion in sport, leisure and education. Kevin has been heavily involved in community sport development and works with equality bodies such as the Runnymede Trust. 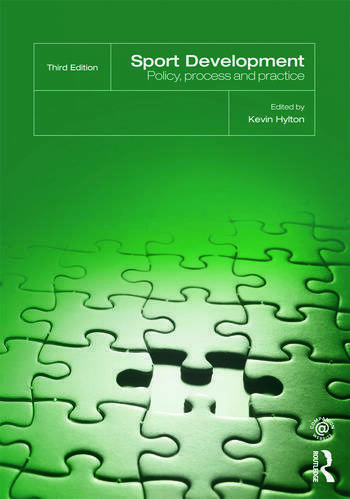 Kevin’s publications include Sports Development: Policy, Process and Practice (2001; 2008). Kevin also wrote ‘Race’ and Sport: Critical Race Theory (2009) and Atlantic Crossings: International Dialogues on Critical Race Theory (2011).